“I don’t go to church anymore. They’re all hypocrites!” Tara said to Pastor Tim. On more than one occasion Pastor Tim had heard this sort of comment. He’d be first to agree the church is made up of people who were not perfect––neither was he for that matter. But each time Pastor Tim heard such comments, his heart would break because he knew the incredible value of doing life together with the body of Christ. Pastor Tim had long ago learned how Satan uses people and circumstances to disappoint Christians to pull them away from the very people God would use to bless, train, and encourage them at church. But recognizing the enemy’s schemes did not ease the sorrow of his (or any pastor’s) heart for his people. Maybe you don’t have issues with anyone at church; you’re just really busy on weekends doing other things––good things. Attending your kid’s soccer games, going on family getaways, and fixing stuff around the house are all “good things” but if they regularly take you away from church attendance, you would do well to realize you’re choosing the captivity of activity over what God says is more important. Going to church is not about getting your attendance gold star, nor is it about gaining God’s favor for the week because you assembled together with His people. Church is not a place to go, rather it is a living body where God wants you to become a part––for your good and His glory. 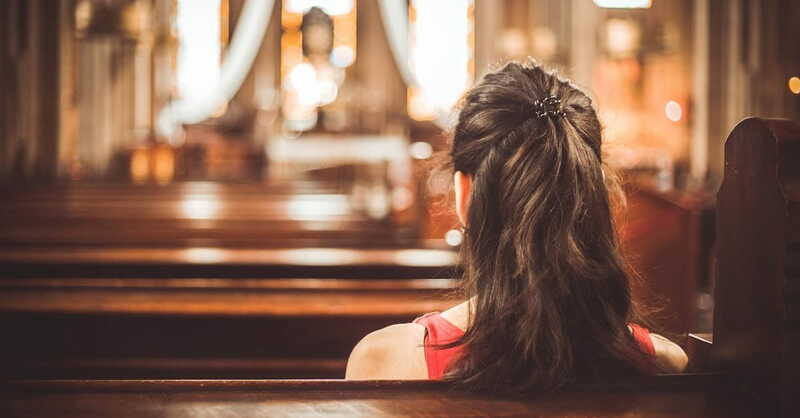 Let’s look at only 10 of many reasons to go to church––even when you don’t feel like it. If the word of God is quick, powerful, and sharper than a sword (Hebrews 4:12), then hearing the preaching of Scripture is vital to your spiritual well-being. Watching preachers on TV is often how people justify giving up on church attendance. * They may be listening to good preaching (if they’re discerning), but without living in close fellowship with real people, one can never really experience the help and hope Christ offers His bride through faithful involvement in a local church. When facing certain death, the Apostle Paul revealed the importance of preaching with this final instruction to Timothy: “Preach the word; be urgent in season and out of season; reprove, rebuke, exhort with all longsuffering and doctrine” (2 Timothy 4:2). *Please note if you are physically unable to attend church, watching it on television or online is a wonderful resource. Especially if the church where you are a member streams it’s sermons weekly. This allows you to stay in communion with your church family, learning what they are learning, and growing as they grow. Worshiping God alone is wonderful, but nothing can replace the beauty of coming together corporately to worship Him with others who also have His Spirit in them through the redeeming work of salvation. Jesus said those who worship must worship in Spirit and in Truth (John 4:24). In order to truly worship God the way He demands requires some soul searching. All too often, people think worship is rooted in feeling like they’ve been with God. So they flock to churches that help them muster up those feelings. Sadly, if the church doesn't continue to create an environment that stirs their emotions, many move on to find another church––or worse yet stop attending altogether. Realize that worshiping God comes as a response to our humble gratitude for His love for us. Knowing God and His character as revealed in Scripture will stir in His children a heart of thankfulness that is expressed in worship that brings Him glory––rather than a self-serving emotional experience. The Spirit causes true worshipers to long to come together with other believers to honor Christ. If God’s Spirit does not stir in you a desire to worship God both privately and corporately, it’s time to ask Him to show you why. For more insights read: How to Breathe New Life into Worship. That is what Proverbs 27:17 tells us. Meeting regularly with other believers is a source of encouragement and strength. But know this: when iron rubs against iron, not only does it become sharper, it also causes sparks! It’s just part of the process. Jesus said, “Out of the abundance of the heart the mouth speaks” (Matthew 12:34). When you live in community with other Christians you will get bumped. And what spills out of you is what’s in your heart. God uses our interactions with others to show us the areas He would have us repent and turn to reflect more the image of His Son. Working alongside Christians in a church fellowship is a wonderful way to grow your love for God and for others. And it is also God’s way of showing you areas He wants to mature your walk with Christ. If you’ve stopped attending church because people hurt you, didn’t measure up to your expectations, or are hypocritical, know that the enemy has you right where he wants you. Satan’s tactic is to divide and conquer. If he can pull you from the flock, you are vulnerable to his deceptions and attacks. Satan will use your lack of love for God’s people to quench your love for God. If in response to the offenses of others you’ve wondered away from Christ, check out this helpful article: How to Find Your Way Back to Christ. From preaching to encouraging, hospitality to administration, God equips His children with gifts to serve Christ. (See 1 Corinthians 12 and Romans 12:6). When a church body is healthy, its members realize they are part of the congregation not only to receive but also to be a blessing. Statistics reveal that in most churches, 20 percent of the people do 80 percent of the work. This is not to guilt you into “getting involved” at your church, rather it is to inspire you. Imagine, God has supernaturally gifted you so that He can glorify Himself through you as you serve Christ (Ephesians 2:10). Many see work happening at church and think, They really don’t need me. Don’t be deceived. A well running ministry may appear to have all its bases covered––and it might. But if you look closely you'll discover many individuals who are doing more work than they’d like simply because today, just as in Jesus’ day, “the harvest is truly great but the workers are few; therefore pray the Lord of the harvest to send forth laborers…” (Luke 10:2). Your willingness to minister in your church with what God has gifted you is likely the answer to someone’s prayer for God to send more workers to help with the harvest. The pastor’s heart of the Apostle Paul comes through when he says, “I thank my God in all my remembrance of you, always in every prayer of mine for you all making my prayer with joy because of your partnership in the gospel from the first day until now… And it is right for me to feel this way about you all for I hold you in my heart” (see Philippians 1:3-7). Can’t you just hear Paul’s affection for these precious people who partnered with him in spreading the glorious gospel of grace? In the same way, when you become a partner in ministry with your pastor you bring joy to his heart, grow his love for you, and cause him to joyfully thank God for your faithful service to Christ. In the church you’ll discover many people who have walked the road ahead of you. Their wisdom, insights, and even vulnerability to teach you from their mistakes is one way God provides to help you grow. Titus chapter 2 is a great place to learn how much God values mentorship. It is His plan for the older men and women to come alongside of the younger to train them in godliness, and guide them toward building a life of no regrets. When I was newly married I knew I wasn’t the kind of wife I was meant to be, so I looked to women in our church whose marriages I wanted to emulate. And when I wanted to learn how to be a better mom, again I asked mothers in our church for help. “I can honestly say that my friendships with these women is what God used to mold me into the woman, wife and mother He wanted me to be” (Moms Raising Sons to Be Men). And not only is the church a wonderful place to find amazing mentors, it is also the place God wants to use you to mentor someone else. With one eye looking to godly older women for guidance, and your other eye on who God might want you to mentor, don’t be surprised at the opportunities He will give you. “No eye has seen, nor ear heard, nor the heart of man imagined, what God has prepared for those who love Him” (1 Corinthians 2:9). In 18 years as a youth pastor’s wife, many times parents would drop off their student asking us to “fix them.” Often the parents grew up in church but walked away after they grew up. Most never really had a relationship with Jesus. However, when their own kids were at risk, it was to the church they often returned. But they usually didn’t come themselves. Rather, they dropped their kids off in hopes the “good” would rub off on them. Jesus said the world will know we are His disciples by our love for one another, so of course Satan wants to destroy any sense of love and community in the body of Christ. When you commit to loving God and loving others, the light shining from your Christ-honoring love is what the Spirit can use to draw others to know Jesus. Everyone is looking for acceptance and a place to belong. Whether people admit it or not, they all long to be known and loved for who they are. When God’s people commit to fiercely love each other by covering sins with love and readily forgiving each other, their love will be a light that shines brightly in a crooked and perverse generation. Let it begin with you. Galatians 6:2 teaches us to bear each other’s burdens to fulfill the law of Christ. Life can be hard, right? In a moment everything can change. Just when things are going great, a phone call, diagnosis, or a host of other mishaps can leave you feeling afraid and alone. But to those who are a part of a church family never feel alone. When life is going great, they have the affirmation of others. And when life throws a curve, they’re blessed by loving concern, support, and prayer. My heart goes out to those who we’ve seen come to church when life is hard and then when their needs are met, they fall away again––only to come back when there's another next disaster. While we are happy to help them, we know the real help they need is a genuine relationship with Jesus and His people. If you're accustomed to only going to church when you have a need, why don’t you try going when you're doing okay? Maybe God will use you to be an encouragement to others who are looking for help. And if you want to know how to have a genuine relationship with Jesus watch this video. Hebrews 10:25 says, “Not forsaking the assembling of ourselves together, as is the manner of some, but exhorting one another, and so much the more as you see the Day approaching.” I don’t think the writer of Hebrews could make any more clear God’s desire to have you regularly assemble together with His people. Realize that God wanting you to regularly attend church is for your good. He wants you, and His people, to exhort one another especially as the days grow darker and the time of Christ’s return approaches. Think of the underground church in other countries. I remember one man from China explaining how they had to sing hymns no louder than a whisper for fear they would be discovered. Discovery would mean physical abuse, their children and possessions seized, and imprisonment––yet still they met together. Their story should stir our hearts to see the value and incredible privilege we have to meet openly together to worship God and hear the preaching of the Word. Oh, that God would capture our hearts in a new and fresh way. I pray His Spirit stirs in us a zeal and commitment to meet together with God’s people to praise Him, love others, and shine brightly the hope of Christ to a generation who is desperate to believe that what we say we believe is true––is in fact true.